"I am mad as hell and I am not going to take it anymore". An old saying, at least as old as me, many of you might know it. True when it was first said, still true today. Let's face it, there is not much you can really believe in today. Young people like to believe in heroes, in promises of "change'. A few years back in America a man came along promising great changes, but, once in power...little changes, if anything matters become worse. We need proof, not promise. What we see is hard working people paying hard earned money in taxes and then the money disappears. No one seems to account for government expenditures. Like leaders of old the people are seen as stupid and easily deceived. Most, and I am being kind by saying most, leaders have no respect at all for the "common man". They can take his money, they can take his life, and he will feel he is doing his duty. Money disappears into a black hole, leaders take trips abroad and the cost is measured in millions, but the common man, unemployed, begs for a roof over his head. And yet we keep believing in promises of social justice. On a rare occasion real change does seem to take place, against all odds. In New York Mayor Rudy Giuliani brought about some real change. Visiting New York after an absence of 8 years I could feel and see the difference. In Russia, of all places, Putin, of all people, seems to have made a real change in people's quality of life. Now and then there is a ray of hope, a little sunshine, but on the whole, you are pretty much on your own. Which begs the question, when it comes to self-defense, who is taking care of you? Who is taking care of your family? Is there anyone you can rely upon? The answer, well, yes, there are many wonderful people in law enforcement, no doubt about it. We have a great deal to be thankful for, and we have many heroes; police officers, security guards, doormen, and lots of ordinary decent people. But it is not enough. Those millions and millions that go to presidential vacations, in the USA, even in tiny Israel and I am sure all over the world, those back office deals where tons of tax payer and shoppers money are "dealt with" to keep the fat cats fatter, all that means that there is not enough there for you. All that means is that your neighborhood police officer is overworked and under paid. It means that those who are supposed to protect you are not getting the training that they need. It means that all too often you are on your own. And you are not ready. My dad always checked his bank statement and his credit card statement and his receipts, and guess what? many times he discovered mistakes. Many times money was taken out "accidentally". I learned that if you do not check - no one is going to check for you. You are the one who must take responsibility. Krav Maga is your personal safety, Krav Maga is your personal responsibility. No one is going to do it for you just as no one is going to go on a diet for you. You have to do it, on your own, for yourself. 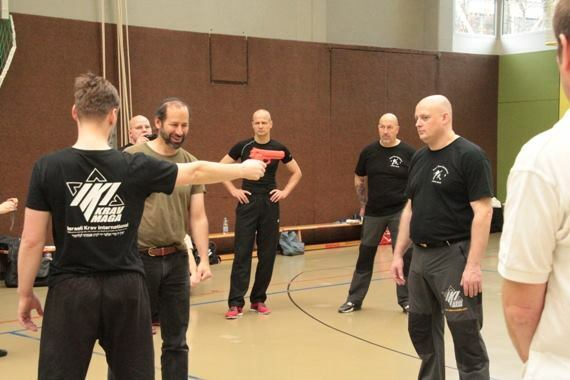 The aim of our style, a new form of Krav Maga; IKI Krav Maga, is to give you, the regular person, the tools you need. Our goal is to make it simple, easy to learn, easy to use, this is one for the "regular guys". This one is for you. The great poet Bob Dylan said, "Don't' follow leaders, watch the parking meters", great wisdom in that. If you do not watch the parking meter you will get fined or have your car towed at your own expense. There will be no warning, watch the parking meter, look out for your self. The government will not do it for you. They need the money to pay for their vacation in China. 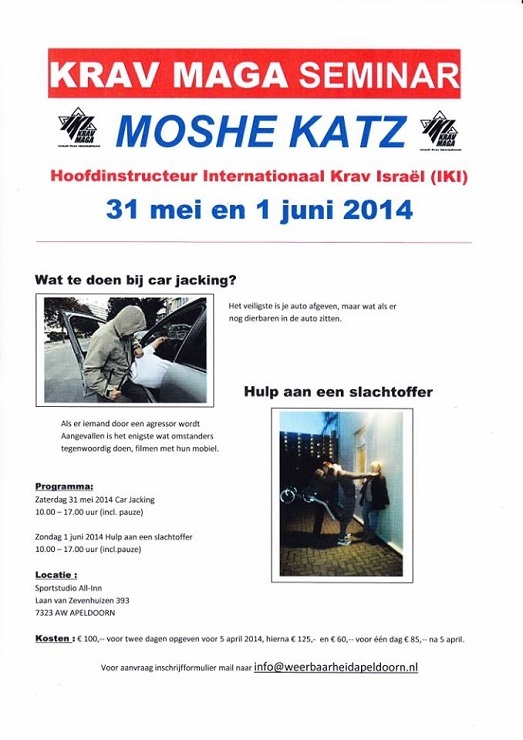 IKI Krav Maga - Something for you! Krav Maga for everyone. All people have a RIGHT to live free. We must protect that right.